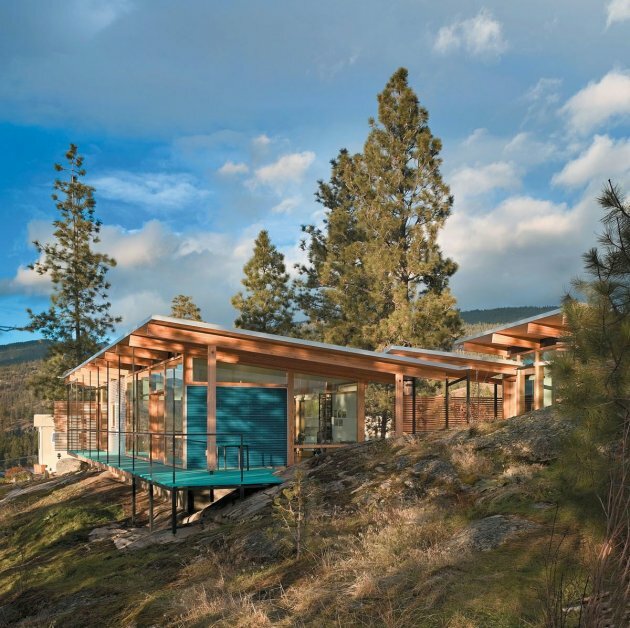 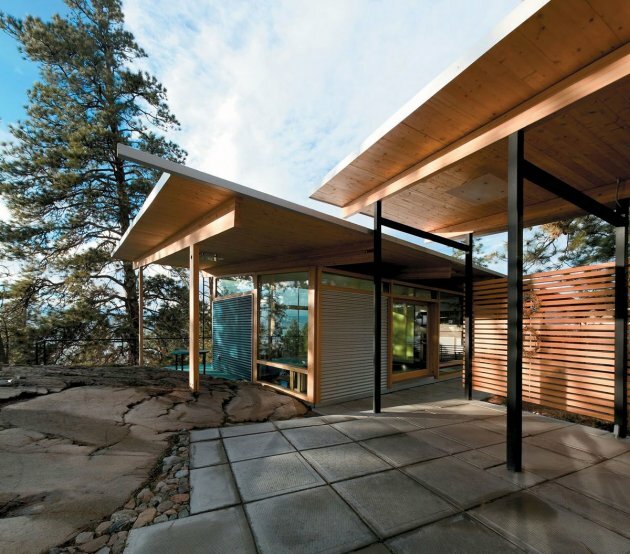 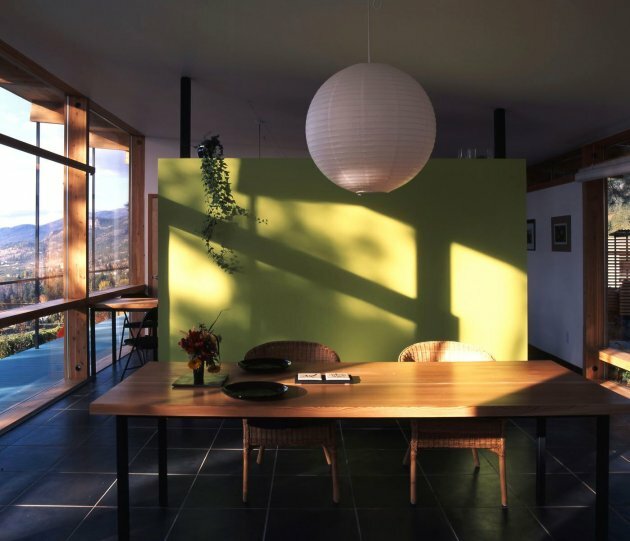 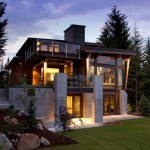 Allen+Maurer Architects designed this house located in Naramata, British Columbia, Canada. 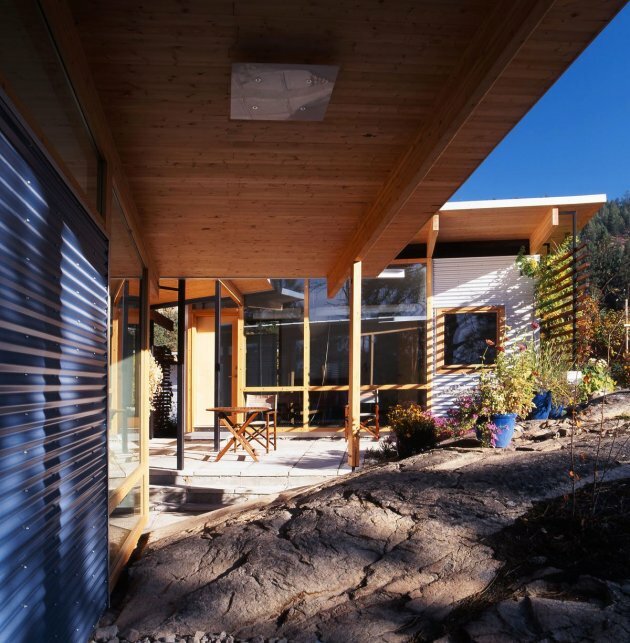 No tree was cut, no rock was blasted, no contours remodelled. 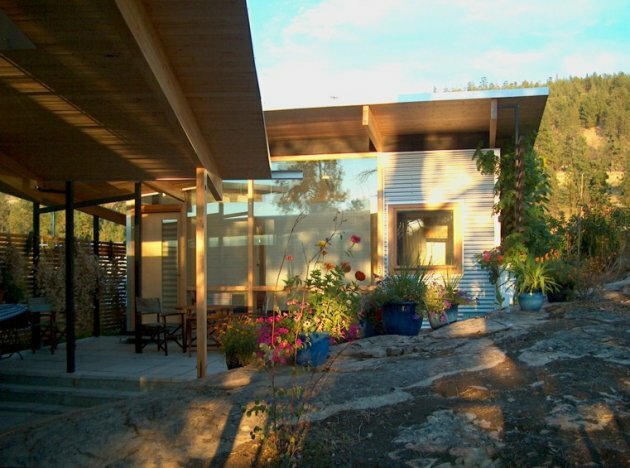 4 small buildings surrounded by existing trees form a private, tranquill garden. 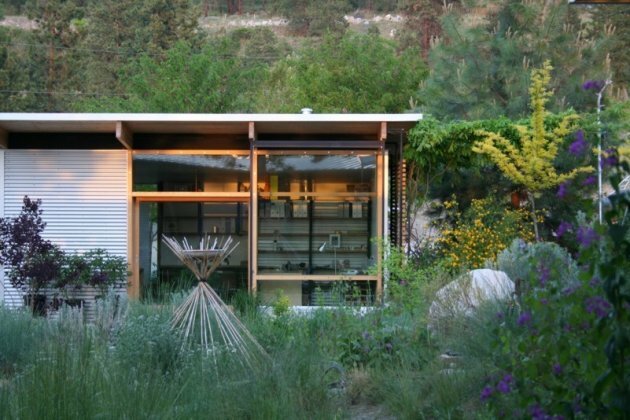 The simple shed roofs flow with the land toward a splendid view of Okanagan Lake. 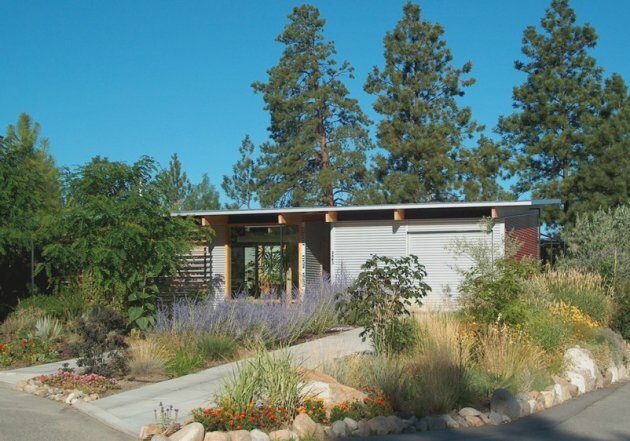 “Form-Follows-Physics” guided the design: simple roofs, no roof intersections, large overhangs, good ventilation, finishes that are durable and appropriate to the climate: tile flooring, metal cladding and -roofing, state-of-the-art Low-E glazing. 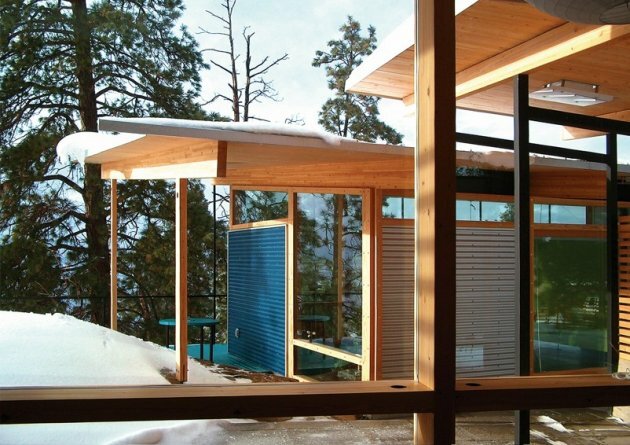 Placement of buildings, roof overhangs, existing mature trees, performance of glazing product, thermal mass of concrete slab and tile flooring, all reduce heat gain in summer and made air conditioning unnecessary. 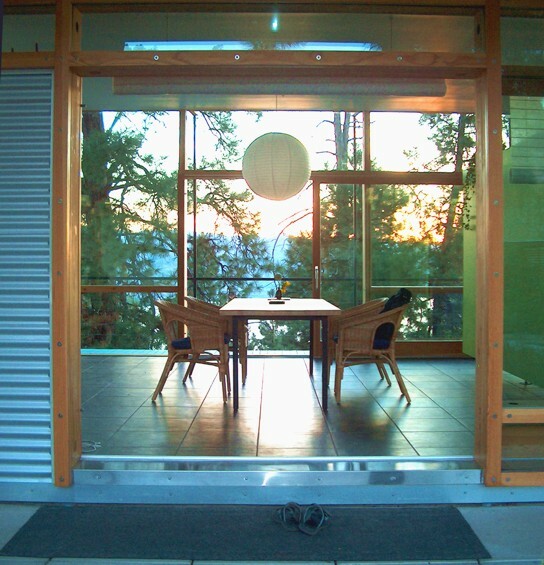 Visit the website of Allen+Maurer Architects – here.